As frequently emphasized in formal statements, the Islamic Emirate of Afghanistan wants real solution to the Afghan issue. The establishment of the Political Office in the structure of the Islamic Emirate conveys to the Afghan people and the world that the Islamic Emirate does not wage fighting for the sake of fighting. Rather it has some sacred objectives in front, i.e. independence of the country and establishment of an Islamic system. Protection of our country and beliefs are our legitimate right as per any law of the world and we are ready to defend from them on the table as well as in the battlefield. That is why the leadership of the Islamic Emirate of Afghanistan has appointed some of the veteran and experienced diplomats of the Emirate in the Political Office. In our view, to achieve the above mentioned objectives without bloodshed is the best solution. 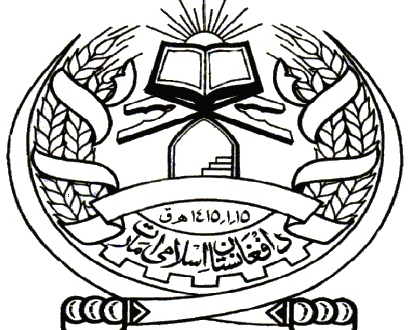 On political front, the Political Office of the Islamic Emirate is the only authorized entity of the Islamic Emirate striving for a political solution of the Afghan issue as per the instructions of the leadership of the Islamic Emirate. The purpose of the existence of the Political Office in Doha is not to give any pretext to the invading countries and other concerned sides in Afghanistan to say that they wanted peaceful solution of the Afghan issue but the address of the Taliban was unknown. The factors of continuation of occupation and the current tragedy in the country are known to everyone. Similarly, the obstacles in the way of peace are also not hidden from anyone. Now, it is the responsibility of the concerned sides of the Afghan issue to remove major obstacles in the way of Afghan imbroglio and create suitable environment for a peaceful solution. Fighting is not our choice. It is our necessity. The Islamic Emirate is making efforts for real peace and stability in the beloved country more than anyone else but if someone is nurturing for showdown of muscles; view peace as nothing more than a project to deceive people and lack any strategy for peace then they should realize that every member of the Islamic Emirate has strong faith and un-fatigable determination. They have before themselves sacred and lofty objectives for which they are ever ready to lay down their lives. The recent living history of the past four decades of our country has proven once again that anyone who has opted for the use of force against the Afghan Muslim and Mujahid nation has ultimately faced defeat and failure and compelled to kowtow before the will of the (Afghan) people. In this lies a lesson for all.